With her entire team, Nathalie welcomes you. We will be happy to welcome you for a good time in a warm and friendly atmosphere. Breakfast and unlimited WIFI are included in all rates at the ibis Styles Dax Miradour hotel. 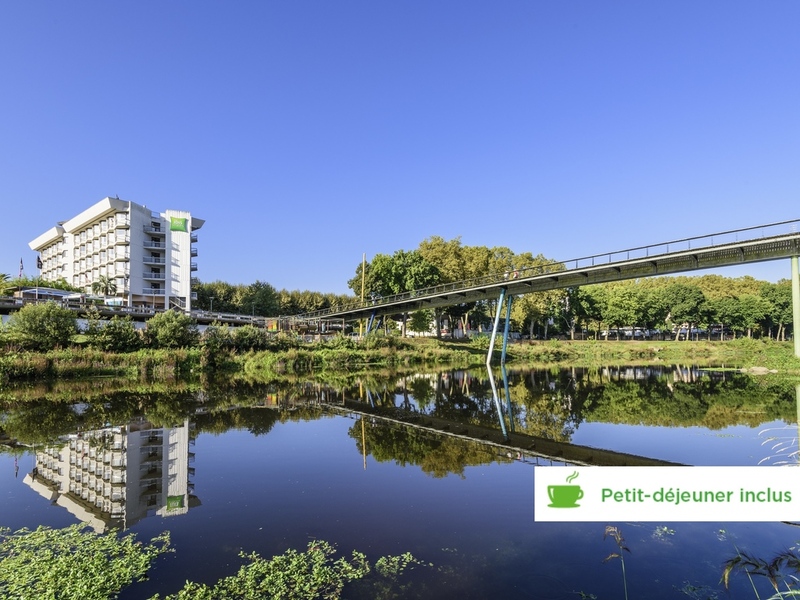 Ideally located in the heart of the Dax spa resort with views of the banks of the River Adour. Enjoy a warm, inviting and colorful setting befitting of the region and a theme based on the Landes forest. On the fourth and fifth floors, rooms have a balcony with a fantastic view over the river. Bar and 24-hour snack service. Welcome to Dax, France's leading spa town and traditional stop-off on the St Jacques de Compostelle routes, whether starting from Spain or Portugal, passing through Lourdes or Armagnac, the Landes beaches or the Basque coast. Double "Sweet Bed By ibis Styles" bed with duvet and relaxation pillows, 26-inch LCD flat-screen television with connectors, television package with the major channels, air conditioning, hairdryer and balcony. Located on the ground floor of the hotel, the bar offers a large area for relaxation or work. Enjoy our terrace and herbal tea bar, with over 30 varieties to choose from.